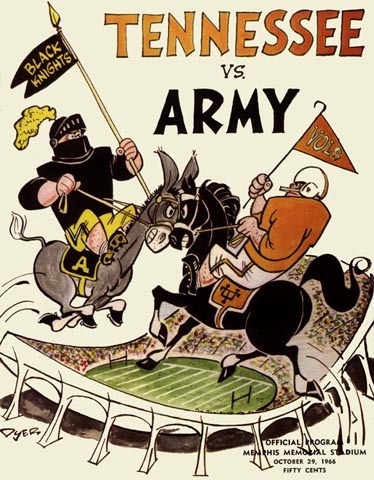 Army did fine in 1966 as long as they stayed in their own territory, losing only one other game all year. But they were simply out of their class when they tried to take their game to Knoxville. Never a doubt for the Vols, as you can see by the 31-point spread.